Do I need Council approval? Sometimes, your development may be classified as exempt or complying development and does not need Council approval. See our type / category of developments page for an explanation of the different development types. Contact our town planner / urban planner to find out if you will need Council approval for your development / project. Can I get Council approval for a non-complying development? If you propose a development that does not comply with one or more “development standards” contained within an environmental planning instrument, your development application must be supported by a written submission that outlines why compliance with that development standard(s) is unreasonable or unnecessary in the circumstances of your development. How quickly can I get Council approval? The average local Council DA processing times in NSW is 70 days (statistic for 2013-14 from NSW Department of Planning & Environment). The main factors that affect how long Councils take to process a development application include the number of Council town planning staff, the town planning staff's workload, the nature and number of objections from neighbours (if any), the scale & complexity of the DA, the type of DA (residential / commercial /industrial / other uses) and the quality of the documentation submitted with the DA. Our Sydney planningconsultant's experience on a wide variety of town planning projects means that we can give you the best chance of getting approval, regardless of the scale & complexity of the DA. We also pride ourselves on our customer service and the quality of specialist town planning documentation / reports that we produce, and will be able to settle any valid planning objections that your neighbours may have (if any). Our planning experience working as town planners within the NSW State government & local Councils has also given us great insight on how to get DAs approved, and approved quickly! Which Councils do you work with? Our Sydney town planner have experience in working with the majority of local Councils in the Sydney Metropolitan area. Please refer to our local Council page for a full list of the Sydney Metropolitan Councils that our planning consultant works with. What are your town planning consulting fees? Town planning consultation fees are based on the scope and complexity of the project. 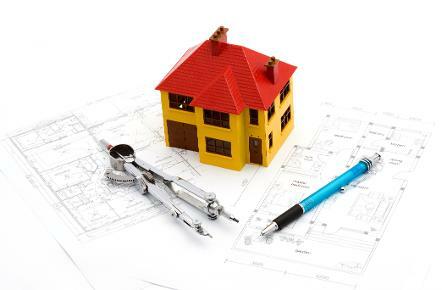 We provide value for your money by finding the best and most efficient way to get your development completed, to save you valuable time and money. We provide a FREE consultation so that our town planner can fully understand the background of your project and therefore cater specifically to your needs. We guarantee to beat any competitors written quote. What town planning service do you specialise in? With over 10 years of town planning / urban planning experience in NSW State Government & several Sydney metro councils as well as private town planning consultancy, our town planner have the expertise to provide you with all aspects of town planning service that are practical and achievable. The majority of planning clients that we service are the ‘every day, average Joe & Jane’, typically for renovating / building a family home, or building a duplex / triplex, and change of use for the property e.g. changing from a residential use to a mix of home business and residential, from commercial to retail, retail to commercial, commercial to a different commercial use, retail to another retail use etc. However, our town planning service and experience is diverse and we can help you with any planning enquiries. Check our most recent town planning PROJECTS for examples of the variety of town planning services that our town planner provides. Contact us now for help getting your DA approved. Do you provide all inclusive town planning service? Yes, our town planning consultant can 'project manage' the entire DA approval process, and coordinate with other specialists such as architects, engineers, surveyors, solicitors to submit complete development applications (from attending pre-development application lodgement (pre-DA) meetings with Councils > planning approval > construction approval > occupation approval > operation). We also have a great network of qualified professionals that we can recommend should you want to manage your project yourself. Can I appeal against my Council’s refusal of my DA? There are certain appeal rights for applicants under the NSW EP&A Act and the LEC Act, whether it be a review under the Section 82A or for appeals to the Land & Environment Court. Our Sydney town planner can advise you on the best appeal pathway to follow. What development / redevelopment options are available for my property? The main planning control that your local Council has for regulating possible land uses is contained in your local Council’s LEP. The LEP therefore dictates the redevelopment options available to your property. Our consulting town planner can advise you on what land uses is permitted in the current zoning of your property. If the current zoning of your property does not permit the use that you would like, our consulting town planner can also review whether it will be practical / possible to rezone your land or local area to permit the new / additional use(s). For example, if you are not sure if you can build a duplex, triplex, townhouses, apartments / units, subdivide your land, or want to change the zoning so that you can do any of these developments, contact our town planner for some specialist town planning advice on these matters. How do I find out the planning restrictions for a property that I want to buy? A land / property and its redevelopment potential (and therefore monetary value) can be significantly affected by zoning / land use, flooding, bushfire, ANEF (aircraft noise), heritage conservation, covenants, contamination etc. Our planning consultant can research the town planning restrictions and provide advice and due diligence reports to help you make the right investment decision to save you headache and money. Can I make an objection against a nearby /neighbouring development? Your local Council usually would let you know of a nearby development and ask for your opinion on it, via mediums such as letter drops in your letterbox and advertising in the local newspaper. This process is known as ‘public notification / consultation’. Our planning consultant can help you raise the concerns that you may have with your neighbour’s development based on town planning grounds. Can I appeal against my Council’s approval of a development near me? There are certain appeal rights for objectors under the NSW EP&A Act and the LEC Act. Our Sydney town planner can advise you on your appeal rights. Have other town planning questions for our Sydney town planners?